“Trying to find a reliable quality builder can be a daunting task. 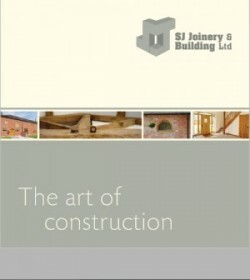 At SJ Joinery & Building Services we ensure that the construction of each project is as exceptional as you want it to be”. 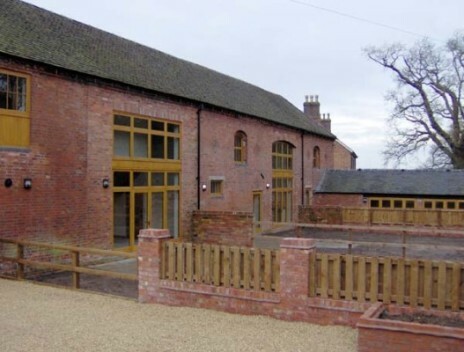 SJ Joinery & Building are Specialist Contractors of Barn Conversions, Renovations, Large Extensions and New Builds, owner Stuart Johnson has over 30 years experience in the art of construction in joinery and building. The company, S J Joinery & Building was incorporated in 2004. As a successful company we have many prestigious clients including Fisher German LLP, Smiths Gore LLP, South Derbyshire District Council, Duchy of Lancaster and Keddleston Hall. We have a regular workforce of employed staff and independent sub-contractors offering a wide variety of skills and experience to transform your plans into reality. We are pleased to announce we have been awarded the LABC Building Excellence Award 2012 for conversion work at Hanbury Grange Farm. Our experience in construction guarantees that you will get the end product you’re looking for, whether that be a residential or commercial project. Developing a strong partnership with our customers is among our several secrets to achievement. In addition,your satisfaction is crucial. We’ve established our reputation over time on a higher standard of customer satisfaction and professionalism we are an innovative, experienced and knowledgeable team. We take an immense amount of satisfaction from our work and value the relationships we create with our customers. We actually love what we do and that shows through in our workmanship and the quality and professionalism of our service. We can help make your project a reality, as well as taking a lot of the stress out of your hands.